It's likely that you've seen Basilicata at some point in your life. But what's this, I hear you cry? I've never set foot in basilicata in my life! Well, the chances are it's possible that you may have seen Basilicata from the comfort of your own armchair. Because Basilicata is a popular region for film-makers, with a good number of movies boasting its stunning surroundings. In particular, Matera is a popular selection for movie makers – especially when it comes to producing biblical-themed films. Matera offers a good backdrop for this kind of film – its ancient scenery has made it an ideal choice for some notable examples. Take The Nativity Story from 2006, which starred Keisha Castle-Hughes and Shoreh Aghdashloo. Filming was conducted in locations such as Matera and also the ghost town/comune of Craco. A year before, Abel Ferrara's Mary had also been lensed in Matera. This thriller included a line-up of Juliette Binoche, Heather Graham and Marion Cotillard, and following its première at the 2005 Venice Film Festival, scooped four awards including the Special Jury Prize. 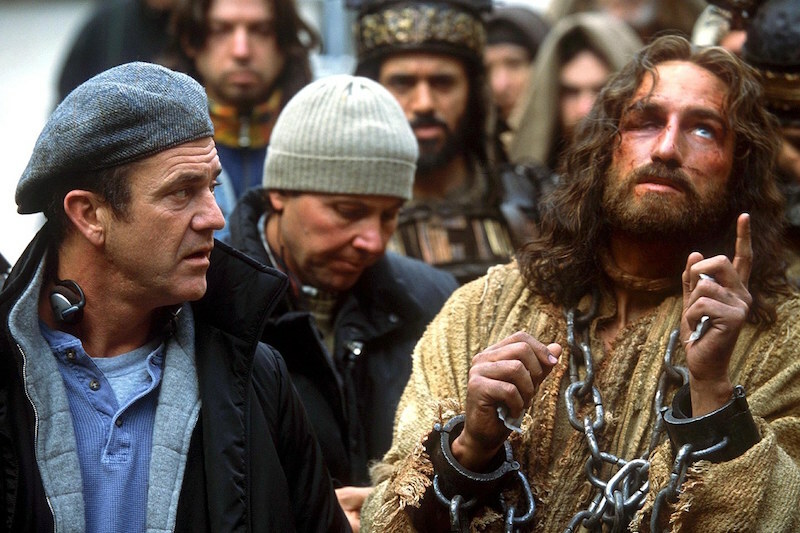 But arguably the best remembered movie is The Passion Of The Christ, Mel Gibson's film detailing the last few moments in the life of Christ. While much of the movie was shot around Rome's Cinecitta studios, there are still instantly recognisable glimpses of Basilicata areas. The Sassi caves are a good example, and the rock church of San Nicola dei Greci was selected as the location for the Last Supper. Craco was again used – in this case, it was chosen for the hanging of Judas. Basilicata continues to be a popular choice for film-makers, with filming taking place for upcoming films. One of these is Ben Hur, due out later this Summer, with a cast that includes Morgan Freeman and Jack Huston. Meanwhile, the forthcoming Wonder Woman has already started shooting in Matera with alleged suggestions that this is the location for where Diana trains. The Patty Jenkins-directed movie is due for release in 2017 and stars Gal Gadot, David Thewlis, and Robin Wright. Basilicata has been used as the backdrop for international blockbusters, and there are also a number of movies that are actually set in this region. Comedies, thrillers, dramas... take your pick. So, grab a box of popcorn and let's see five more notable examples of Basilicata on the big screen! The road trip movie is a common genre in recent years as a small group of friends hit the road on a journey which almost inevitably strengthens friendships and reveals some home truths. Basilicata Coast To Coast is no exception. This comedy film follows the fortunes of a group of friends from Maratea as they set course for a national theatre-song festival in Scanzano Jonico. All four friends are members of a local band – these comprise frontman Nicola, guitarist Salvatore, double bassist Franco and drummer Rocco. On their route, they are followed by a local church TV crew and a local journalist, Tropea Limongi. Over the course of their road trip, they explore the local sights and stop off in the local villages to play a song or two. This being a road trip movie, each of the quartet also discovers a bit about what the future holds, whether it's Salvatore's determination to finish medical school, Franco's feelings for Tropea, or Nicola's new-found assertion. Although this isn't a high budget movie, Basilicata Coast To Coast succeeds because of three key aspects. The first is, of course, the beautiful unspoiled scenery. Using the road trip motif is an inspired way of showing off the local sights that Basilicata has to offer, and director Rocco Papaleo (also starring as Nicola) makes the very best of these. The second is his characters and cast. Each one of the quartet feel like real people, and this is down to some skilled writing (you can easily relate to each of their respective personas and problems) and a high quality cast that includes Max Gazzè, Alessandro Gassman, Paolo Briguglia, and of course, Papaleo himself. And thirdly, the soundtrack's not half bad either! A movie that's full of charm and quirky moments (including a donkey! 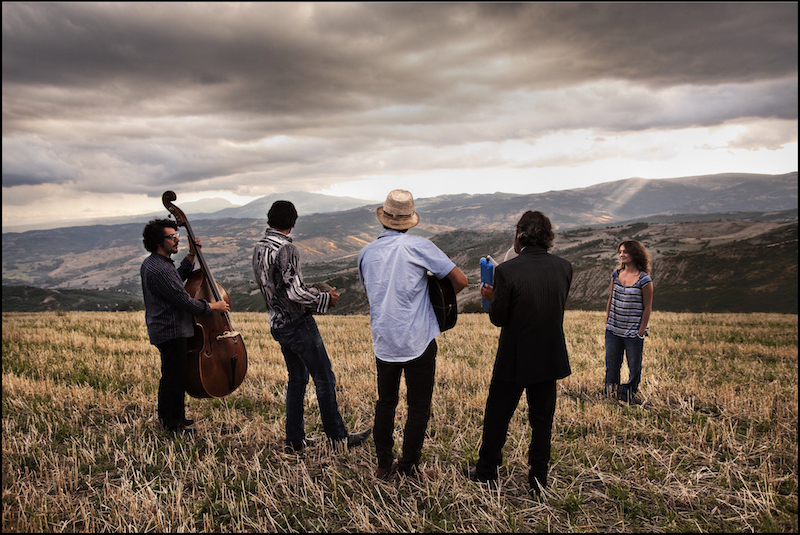 ), Basilicata Coast To Coast guarantees a good time and plenty of musical magic. Del perduto amore – or Of Lost Love – scooped a notable trio of awards, and that's down to its well-chosen cast. 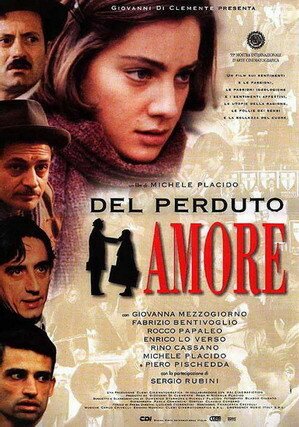 Giovanna Mezzogiorno won two awards – the Pasinetti Award at the 55th Venice International Film Festival and the Best Actress award at the 1999 Nastro d'Argento – for her performance as teacher Liliana. Fabrizio Bentivoglio also won the David di Donatello award for Best Supporting Actor for his performance as Antonio. Set in the 1950s, the film revolves around the characters of Don Gerardo and the communist woman Liliana who is dealing with her own political struggles. Director Michele Placido lenses this one well, and conjures up the moody atmosphere of the piece. While the falling rain and grey skies may not be to everyone's tastes, Of Lost Love has its fair share of strong performances, particularly from the award-winning Giovanna Mezzogiorno – and at its heart, a strong emotional core. Loosely drawing its inspiration from Count Giovanni Carlo Tramontano (1450-1514), Il Conte di Matera had its first public screening in May 1958. In this case, the count became known as Rambaldo Tramontana and was played by Otello Toso. The cast also included Virna Lisi who portrayed Greta Tramontana. The story involves the power struggles between Raimbaut Tramontana, with his daughter Greta involved in a love rivalry between Filiberto (the Count's squire), who thinks he can marry her, and the man she falls for, Paul – the son of the Duke Bresci, who was forced into exile by the Count. The film was directed by Luigi Capuano, and provides enough action and character detail to satisfy. The acclaimed I'm Not Scared thriller was based on Niccolò Ammaniti's 2001 novel of the same name. It was directed by Gabriele Salvatores, with both Ammaniti and Francesa Marciano penning the screenplay. Set in the 1970s, the film pulls no punches with its themes of crime and kidnapping. Director Salvatores is said to have selected Basilicata as one of the locations to film in as it brought back memories of youth. The movie's town isn't real however – Acqua Traverse is fictional as its province, Lucignano. One of the plus points of the movie is the characterisation, in particular, for the youngsters. Michele, for example, belies his 10 years with a good, strong, intelligent character and also a winning performance from Giuseppe Cristiano. Another big boon of this film is that it's painted in shades of grey as opposed to big, obvious strokes. We're not in a twee TV movie where all the kids are innocents – in this film, some of the youngsters pick on weaker targets. Also, while the adults' crimes are undoubtedly terrible, it's done for reasons such as poverty – and additionally, it's quite clear that they love and care for their own children. It's a taut, well-written script, with a good visual flair and deftness from the director Gabriele Salvatores. This movie proved especially popular, landing a considerable amount of award nominations and also scoring some actual award wins. At the Flaiano Film Festival 2003, Giuseppe Crisiano won the Audience Award for Best Actor, Niccolo Ammaniti won Best Screenplay, while Ezio Bosso won Best Film Score. Meanwhile, the 2003 Italian National Syndicate of Film Journalists dished out its own awards to Salvatores for Best Direction, Italo Petriccione for Best Cinematography, and Diego Abatantuono for Best Supporting Actor. Another adaptation, Christ Stopped At Eboli (or Cristo si è fermato a Eboli) was originally penned by anti-fascist intellectual Carlo Levi. A talented writer and painter and the owner of a degree in medicine, Levi's political beliefs landed him in trouble. He was arrested for his anti-fascist activities in 1935 by Mussolini's regime, and exiled to a remote town in Basilicata. To say that Levi would be experiencing a different kind of life is saying something. He was sent to a place which was far simpler, and populated by a peasant population who had to somehow survive on the minimal harvests of the land. Levi's book looked at the major differences between the city and rural lifestyles that he had experienced, noting that his new way of life was very much the antithesis of his previous lifestyle. The film adaptation is just as thought-provoking and intelligent as the original book. Francesco Rosi is in the director's chair, and adds a genuine sense of flair to the film, cleverly switching between a fictional and almost documentary style of production. His casting choices are also good – Rosi had worked with the star of the film, Gian Maria Volontè before, and here, Volontè, makes effective use of facial expressions and subtle touches to convey the feelings of Levi. He's ably supported by a cast that includes Paolo Bonacelli, Alain Cuny, Léa Massari, and Irene Papas. The cinematography is also breathtaking, with Pasqualino DeSantis using the location of hill town Aliano to great effect. DeSantis conjures up some memorable imagery and a lovely eye for composition. After the film's release, it won the Golden Prize at the 11th Moscow International Film Festival and BAFTA Award for Best Foreign Language Film.